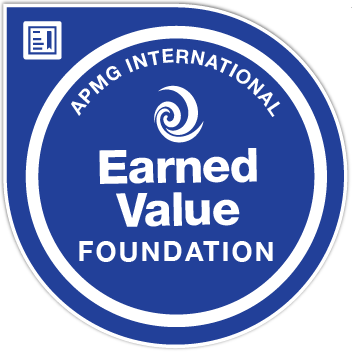 Badge holders have received a comprehensive overview of Earned Value Management (EVM) terminology and methods. They have learned the concepts of Earned Value, selecting and deploying Earned Value formulae, the Earned Value Process, and different levels of System Review. Badge holders have passed a multiple choice exam, scoring a minimum of 26 out of 40 (65%). The exam is a closed-book exam lasting 60 minutes.